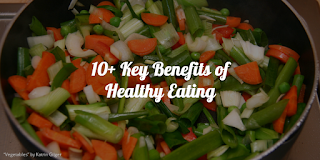 Do you want to know what are the key benefits of healthy eating? Of course you want. In this case please continue reading. Productivity. Research shows that unhealthy diets reduce about 66% the level of productivity. Happiness. Bananas are among the main foods that have the power to improve your mood, because they contain about 10 milligrams of dopamine, a substance that has a beneficial effect on the brain. Also, if you want to be happier eat dark chocolate, because it has the ability to improve levels of serotonin in the body. Stress. Foods rich in vitamin C, magnesium, omega-3 fatty acids and proteins help relieve stress. Weight loss. Swap unhealthy foods with the healthy ones. For example, if you use to eat more crisps, try to eat more carrots instead. Soda is your favorite drink? Water is a better substitute. This is how you will burn more calories. Moderation. Experts say that through a healthy diet, we eat less. Skin protection. Studies have shown that when we eat fruits and vegetables, our skin becomes healthier, because these foods are rich in antioxidants. Longevity. Several researchers have shown that diets based mainly on vegetables and little meat, can help you live longer. Money. A healthy diet keeps you healthy. Health has its privileges. Among other things, you will not need to spend money on costly treatments. Adventure. The fact that you feel healthy will make you feel full of life. You will have a much greater appetite for adventure. Motivation. You often hear that without a good motivation, you can not do anything. And it's true. 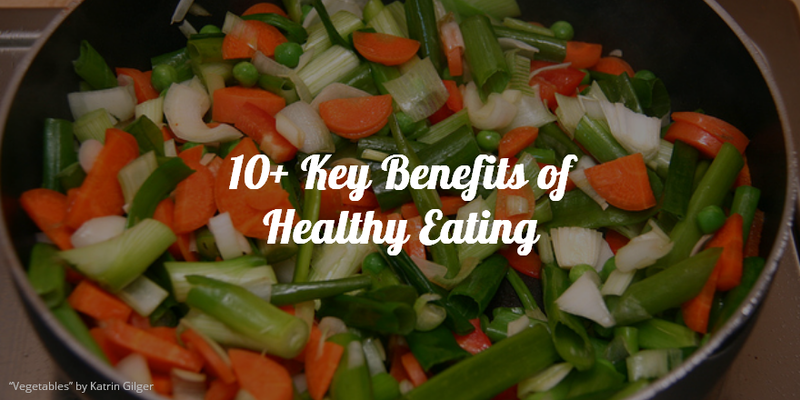 One of the benefits is that healthy eating improves your ability to fight with yourself, with your desires. It helps to be able to fulfill your purpose without giving up. Environment. Healthy foods are not coveres in plastic, which is extremely dangerous for the environment. Inspiration. Those around you will feel the burning desire to follow your example, because they will see the fabulous effects that your healthy diet had on your body. You've heard it a million times. If you want to lose weight, do not skip the main meals of the day. It's one of the secrets that we must follow in order to lose weight, and to have a healthy life. But what can we eat between meals? 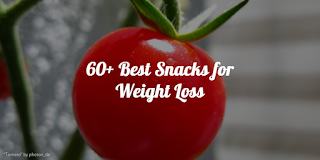 What are the best snacks for weight loss? If you want to discover the answers to these questions, I suggest you read these lines. CANNED SALMON WITH CAPERS AND LEMON ON A WASA CRACKER. Salmon is a good source of omega-3 fatty acids, which help stimulate certain hormones, leading to fat burning. Capers will offer a great flavor, along with a low calorie. Lemon juice is perfect for improving digestion. Wasa crackers have high fiber and whole grains. Therefore you'll have a strong sense of fullness. Ethereal theme. Theme images by rion819. Powered by Blogger.